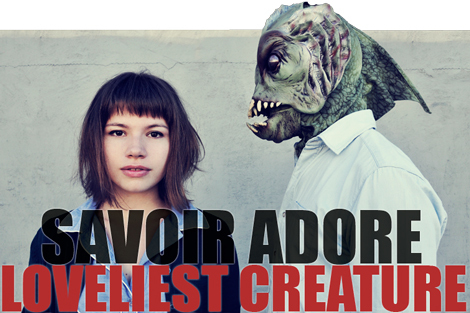 Another good tip from Neon Gold, telling us that NYC’s Savoir Adore are giving away their beautiful song “Loveliest Creature” for download on their homepage. Cornering the market on sweet boy/girl (or fishman/girl) pop, this song surprises me with its edginess. Potential to repeat listens? Very high.